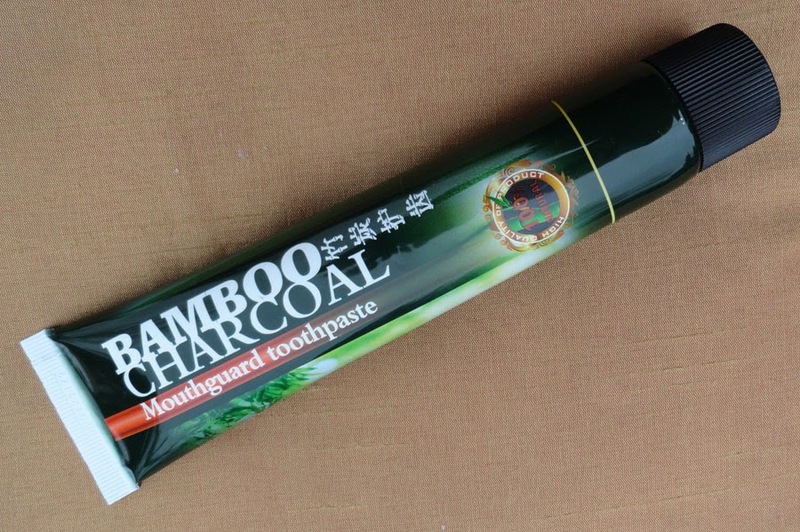 Bamboo Charcoal Mouthguard toothpaste from China is a different breed. Apparently, it's popular in Japan, at least the Japanese brands. This one is special - after purchsed in China by my friend Meg, she brought it back to Colorado for me. The only English on the entire tube is the product name, "Bamboo Charcoal Mouthguard toothpaste." 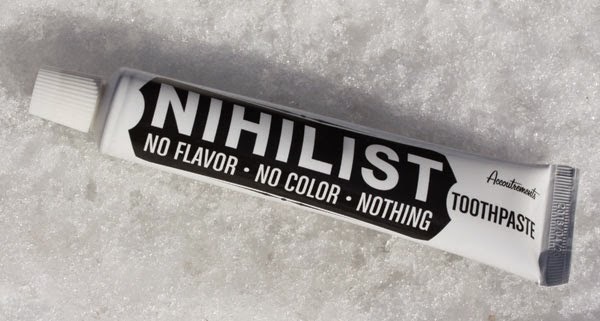 The taste is subtle - so subtle that I could not figure out the flavor mix. So I called in for outside help. My wife said it tasted a bit like baking soda toothpaste. My daughter (13) provided more in-depth commentary: "It starts with a medicinal taste and ends with a minty flavor. There's a bit of a dusty feel. My teeth do not feel smooth after brushing." The paste itself is very dark brown. Interestingly, the foam after brushing (when spit in a white sink) is mostly white, unlike a very similar looking paste from Thailand that I reviewed (which leaves a slightly brown-tinged foam).